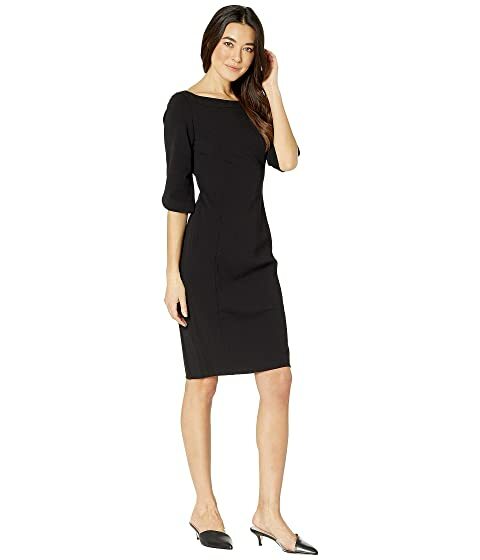 Command attention in this chic Calvin Klein® Bateau Neck 3/4 Sleeve Sheath Dress. Solid colorway on a structured stretch-poly fabrication. Bateau neckline and three-quarter sleeves with tulip cuffs.